Philadelphia tradition, meet Canadian know-how. Among the products in the All But Gluten line, from Toronto's Weston Bakeries, are Chocolate and Vanilla Snack Cakes. 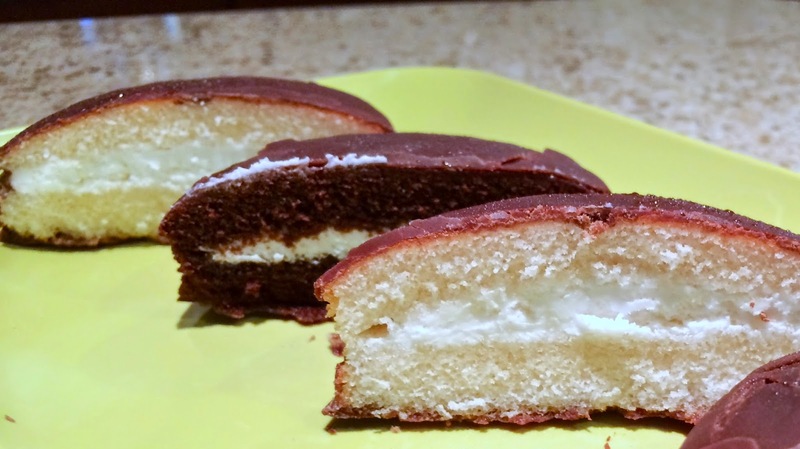 One look at these indulgent treats reminded me of Tastykake's legendary Kandy Kakes. 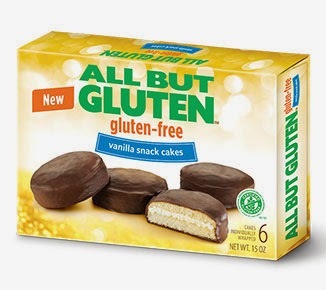 The All But Gluten versions, which are made in a dedicated facility, are a bit larger than Kandy Kakes (a touch smaller than Hostess Ding Dongs) but are moist, creamy and chocolaty. The cakes are kosher and certified by the Gluten-Free Certification Organization (endorsed by the National Foundation for Celiac Awareness). I liked both of them, but have a fondness for vanilla. They were even better out of the fridge. Other All But Gluten products sold in the U.S. include four varieties of fresh breads, chocolate chip cookies, mini brownies, coconut macaroons, blueberry muffins and granola bars. Sorry to say, the products are a bit hard to come by in the Delaware Valley right now: they're sold at Safeway stores in Delaware and at the Genuardi's in Audubon, Pa. The store locator lists those locations and others by ZIP Code. DISCLOSURE: While Weston Bakeries provided product samples for me to review at no cost, such compensation did not influence my review. Neither I am nor any immediate family member is an employee, officer, director or agent of Weston Bakeries or its respective parent, subsidiary and affiliated entities, advertising and promotional agencies. Click here for my complete Disclosure.